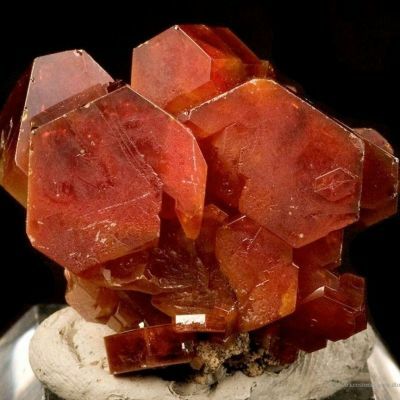 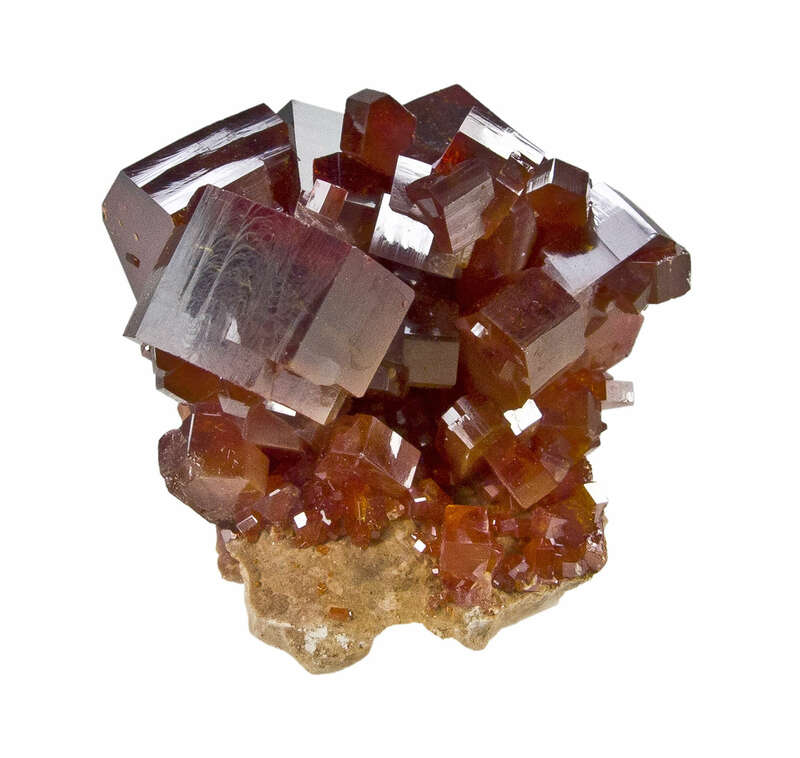 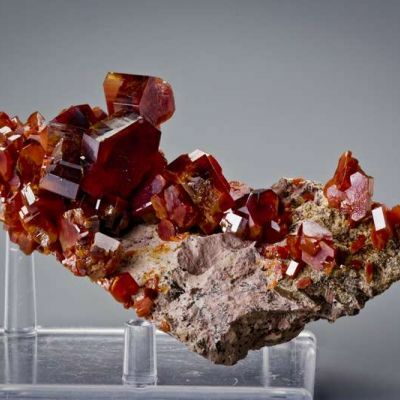 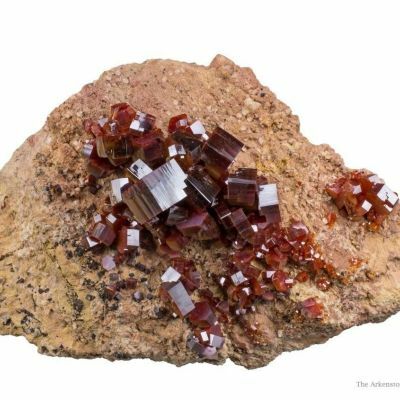 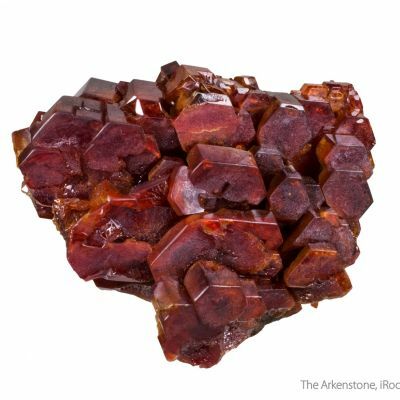 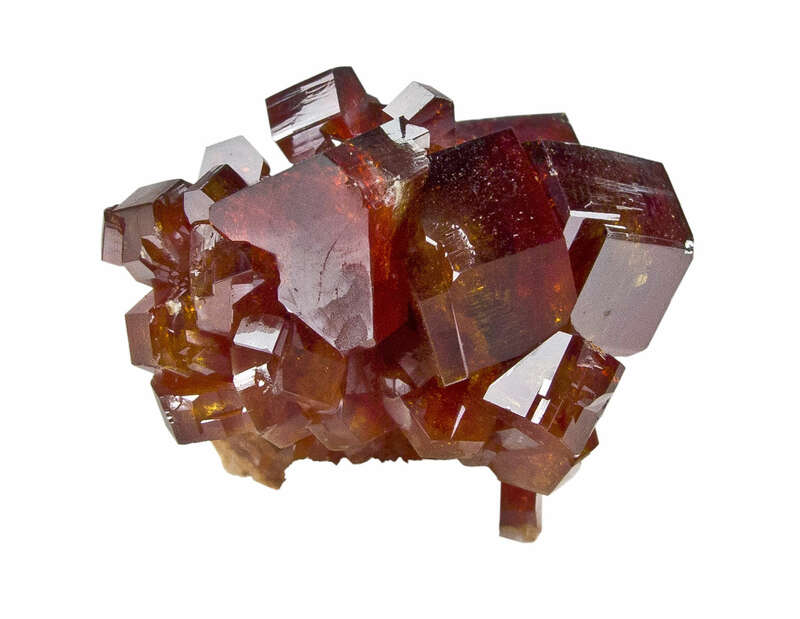 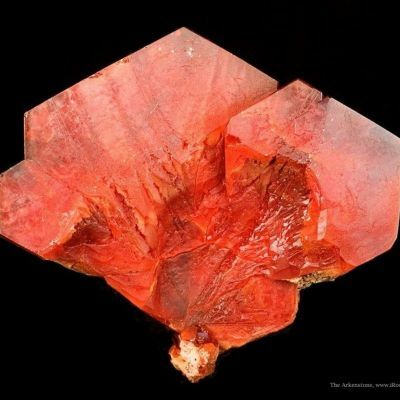 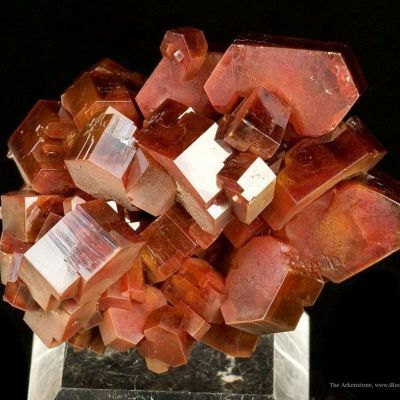 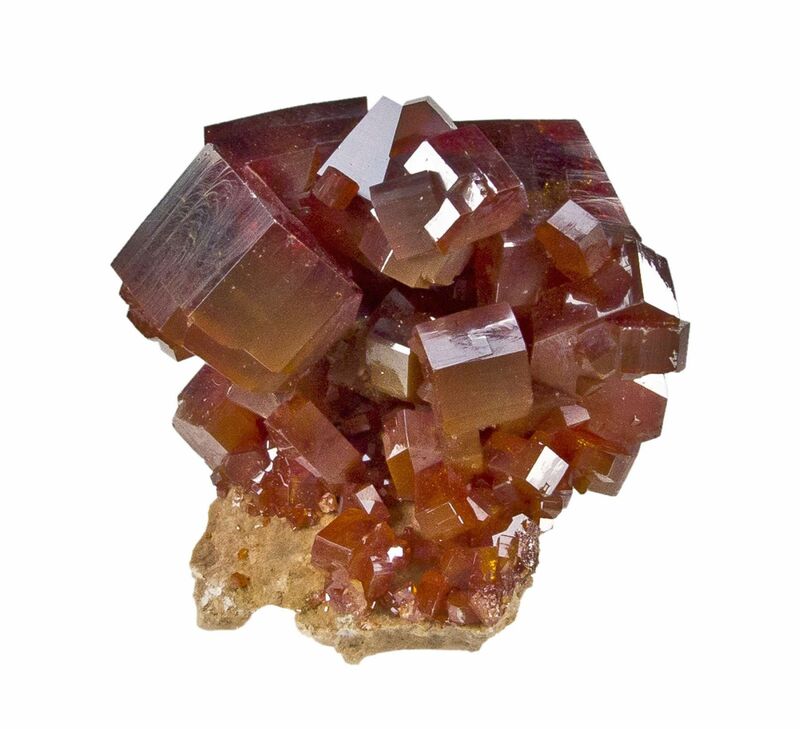 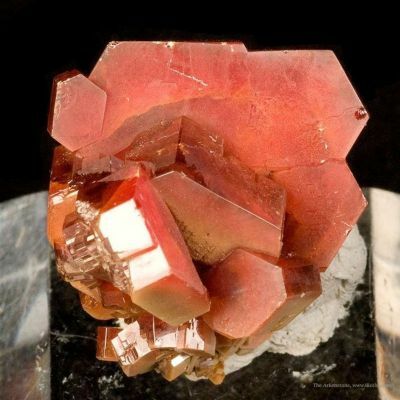 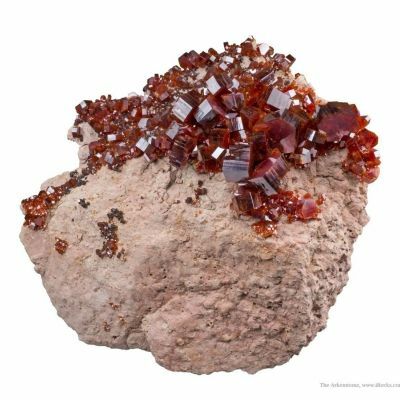 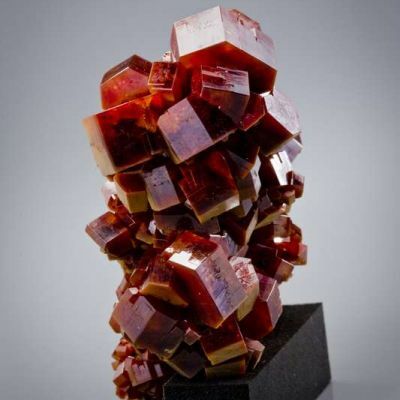 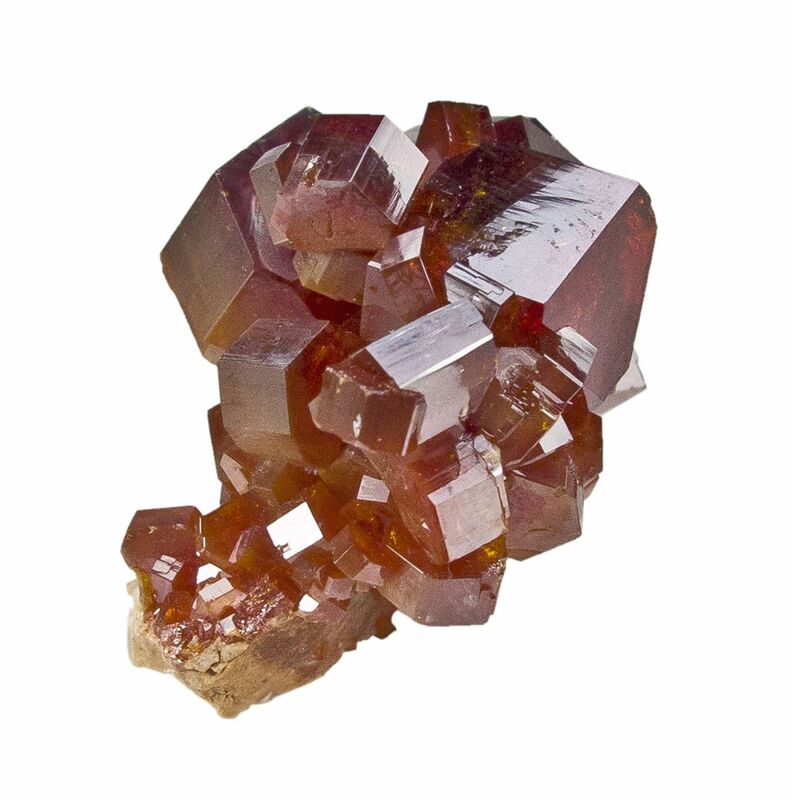 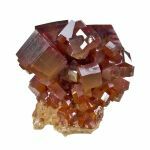 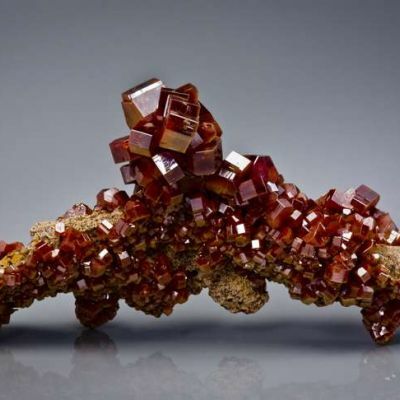 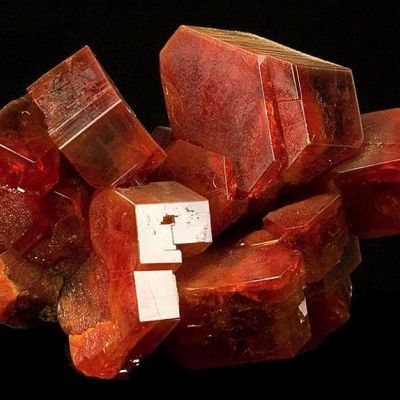 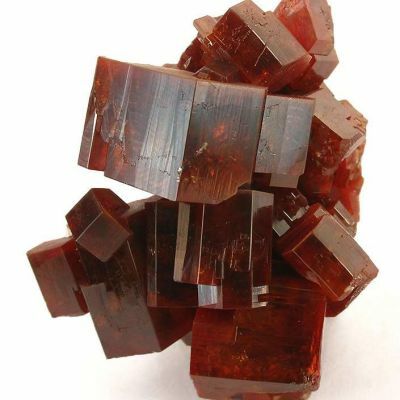 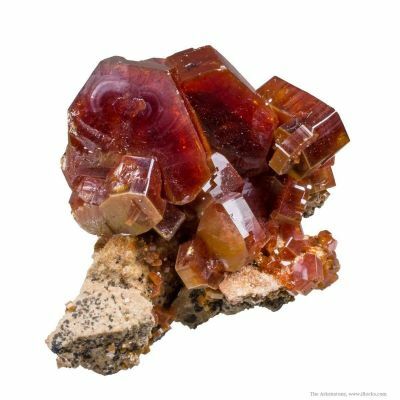 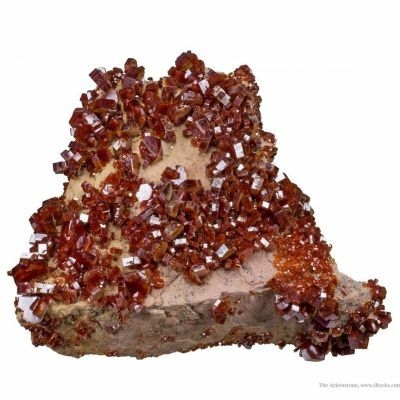 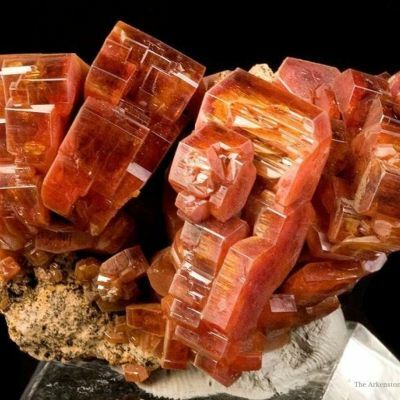 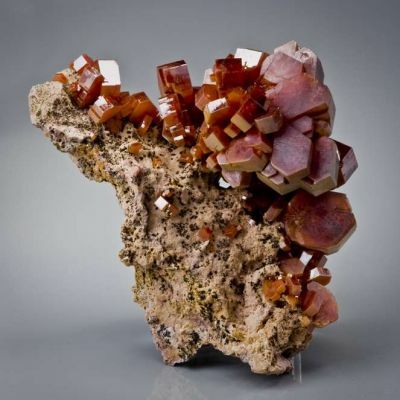 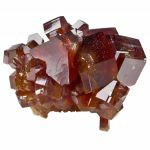 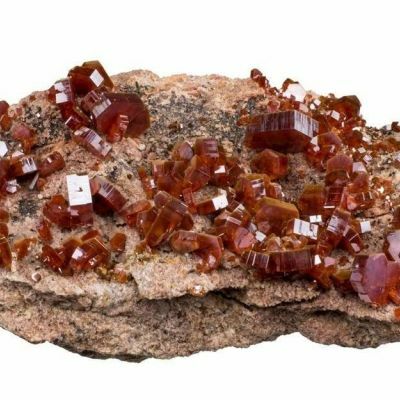 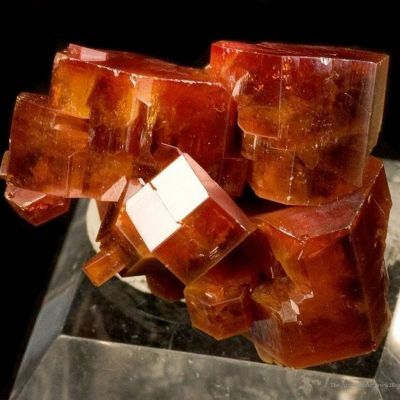 Perched on a sliver of matrix is an aesthetic cluster of equant, lustrous and translucent, brownish red, vanadinite crystals, to 8 mm in length. 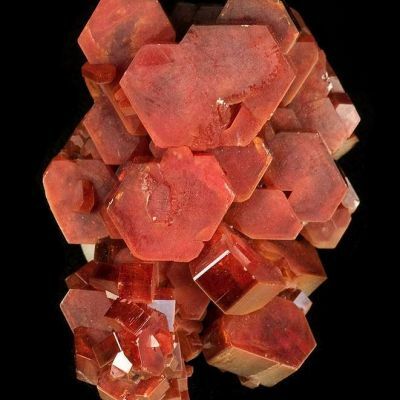 A few crystals are also doubly terminated. 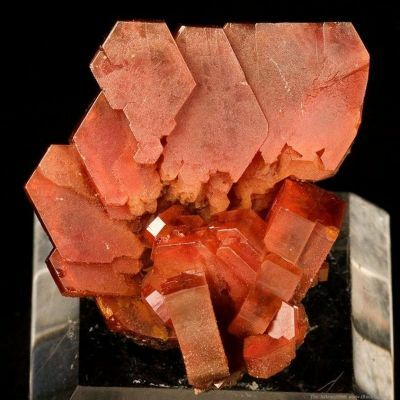 Unusually fine thumbnail specimen.